Cabin Rentals: Invest In Mountain Cabins for Maximum Returns! Perhaps you are looking to invest in lodging and log cabins to rent, but have yet to figure out the perfect fit for your preferences and budget. By building your own mountain cabin rental facility you can put your personal stamp on your project and set yourself apart from ordinary rental units you see everywhere. By owning a vacation rental, you create a mountain cabin experience for your traveler that is a step above what they are used to and, at the same time, saves time, money and offers incredible returns on your investment. A) Make a huge capital investment that may take years to see a return? B) Make a comfortable investment that shows great returns in the first year? If your answer is “B” Keep reading and find how! The Cottage Grove Inn in Calistoga, California has become a popular place for travelers to stay because they have set themselves apart by offering a different lodging experience and command up to $155 a night. How often do you get stuck in your thinking, unable to get your mind to work outside of the box? When you think of hotels or motels, your mind immediately goes to places like the Holiday Inn or Econo Lodge, but there isn’t anything great about either. The reason travelers end up staying in those places is because they are available and they don’t have other options. But mountain cabin rentals offer travelers a unique experience they won’t often find anywhere else, with more character than characters. Imagine offering your guests a true mountain cabin experience, in their own private rental cabin. No elevators, no annoying neighbors, no long trips down the hallway for a bucket of ice. Just a place to relax and truly get away from it all. Our mountain cabins to rent are the perfect investment, allowing you to create a simple lodging facility made up of individual mountain cabins capable of meeting your guests’ needs without overextending your financial budget to get the project rolling. Want to know more about investing in a rental cabin? 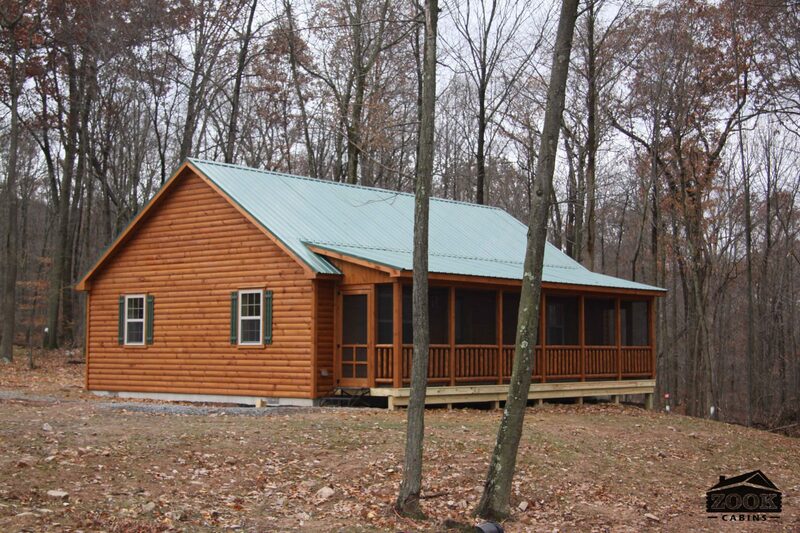 Call (610) 593-4556 to get a FREE, no obligation quote and answers to all of your questions about our cabin rental units. At Zook Cabins, we specialize in building log cabins to rent that can maximize your profits and offer more than the same boring hotel experience that everyone else has. For years our customers have used our mountain cabins to house their guests and create an atmosphere that results in happy guests and repeat customers who will tell their friends and increase your revenue. 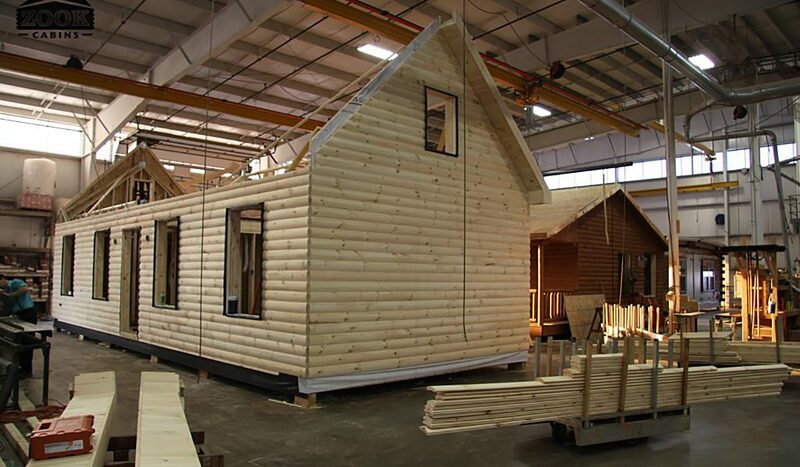 We build fully assembled log cabin rentals that are delivered to your site, ready to use, complete with kitchenettes, bathrooms, hardwood floors and more options than we can list here. Our mountain cabins can be set on a foundation of your choice from stone pad or concrete slab to full basement and, when in place, they provide an incredibly, aesthetically pleasing building sure to catch the attention of your prospective customer. With a little bit of landscaping, it would take the most trained of eyes to see that the cabin rental is not stick built on site. Combine that with the fact that all the qualities you are looking for in log cabin rentals can be had at an affordable rate without exhausting your budget. Below is the average cost PER ROOM to build a hotel! How Our Cabin Rentals Make You Money! Any time you bring in a construction crew to do work, or build buildings you run into a lot of added cost and headaches that you really don’t need or want. Our investment cabins for sale are built in the controlled environment of our factory where efficiency is a priority each step of the way. We don’t have delays from the weather. We don’t get stuck waiting for materials. We don’t have the added expenses of travel to and from the job site. We don’t run over on a construction budget. The price you are quoted for your rental cabin is the price you pay. All these factors combine to bring you rental cabins with the quality you desire, in a much shorter time. The quicker your project is completed, the quicker guests can book rooms and begin to collect on your investment. Work can be slowed or stopped based on the weather creating long delays. There are many sub-contractors working in and around each other and things get off schedule early and often. There are a lot of scraps and trash that get left behind, leaving you to clean things up, or pay someone else to do it. Chances are, your builder isn’t next door to your building location and you will pay for the transportation for the crew to and from the work site. Contractors work on a budget and overages can be expected. In fact, costs can run thousands more than what you originally planned. Do you want to have the mess that comes with a construction crew? Who do you think will clean it up? Our fully assembled rental cabins are built in Lancaster County by our Amish carpenters known for their workmanship and attention to detail. Over the years they have developed a reputation for their outstanding work ethic that is second to none! It is non-stop, obsessed with every detail from beginning to end and never taking any shortcuts. We take great pride in each mountain cabin that leaves the shop. That’s why the owner himself personally inspects every building to ensure that each one measures up to the exceptionally high standards that we have set. Each mountain cabin can also be inspected by an independent building codes inspector, who is certified by the National building Codes, if that is something required for your project. Our goal is to provide a cabin rental experience for your guests to enjoy and you the facilities to maximize your profits for years to come. Construction projects take a very long time and can go for months on end, continually running up the overall cost of your project. With a large building project you cannot put guests in until the whole project is complete. Therefore you don’t get a return on your investment for months on end. Our construction process from beginning to end is much quicker, cleaner and allows you to capitalize on your investment much sooner than undertaking a major building project. And isn’t that the goal? In weeks not months, you can be on your way to collecting income on your rental cabins. Think about the problems you would have in a building project when you realize that you need more room. You can’t simply build one off of the side of your building without being involved in major renovations and creating an unpleasant look and stay for your guests. Not only that, but the cost of projects like this are incredibly costly and time consuming. If you are working with single rental cabins, the only issue is whether you have space to place it. After that, all you need to do is prepare the site. We drop off your rental cabin and you hook up your water, electric and sewer. In no time you are up and running with a new rental cabin, at a small cost. After 5 years in the business you may decide that it is not something that you want to continue doing for whatever reason (probably because you are ready to retire with your generated income and travel the world). You now have options. You can sell your whole investment (land and buildings), or you can sell your rental cabins individually, maintaining your land investment. Any time you build a large building, that building is forever tied to the land it sits on and the two are inseparable. The only way to separate them would be to tear down the building. Obviously that does not provide you with much flexibility and the option of tearing down the building really has no benefit to you. 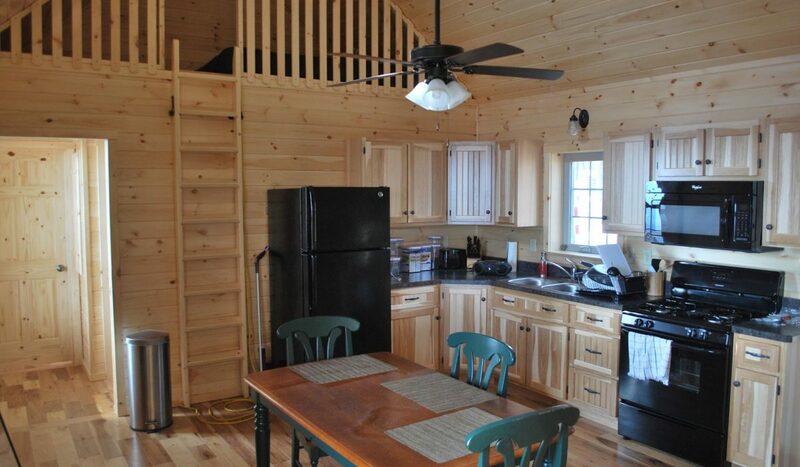 Cabin rental units provide you with options and flexibility that you cannot find with typical buildings. Whether you are looking to set up a motel, or looking to use the cabins more for a vacation rental, our cabins will fit look you desire, and provide the interior feel that will set you apart from the competition. Here is what you would need to break even on your project. You can look at it this way: 31% of all revenue collected in the first year is free and clear of your capital investment and goes right into the bank. Here is how the Return on Your Investment would break down. KEEP IN MIND THIS IS PER CABIN! As you can see the revenue generated from your rental cabin purchase is capable of providing the return on your investment beyond what you may have thought possible! Think about it. If you put together a lodging cabin rental facility, consisting of 15 rental cabins in less than 2 years, your Gross Profit would exceed $1.25 million. Give us a call at (610) 593-4556 with your ideas and we will put together a FREE No Obligation Quote with all of the customizations that you desire! 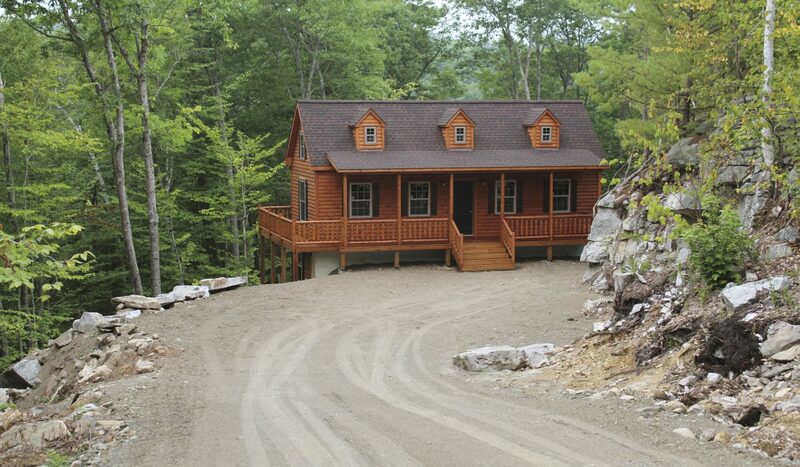 All of our mountain cabin models are fully customizable. We have laid out some mountain cabin floor plans that have been popular with many of our other customers, but we don’t limit our production to those. If you have needs and ideas for how you would like to layout your mountain cabin rentals we will work to accommodate everything you need. Flooring Choices – Choose between hardwood flooring, or a 15 year wood textured linoleum flooring. Each is included in the package price. Loft space is available on several models giving you additional sleeping areas and making the most of your space. Think of the possibilities for upselling if you market that you have facilities that can “sleep 8”! Buildings come standard with a 30 yr architectural shingle, but can easily be upgraded to a metal roof. These features as well as many others make our rental cabins the ideal solution for your lodging needs. Let Zook Cabins make your dream of cabin rentals come true and help you get the most out of your investment! Don’t Wait! Call (610) 593-4556 TODAY! The quicker you order, the quicker you cash in big!